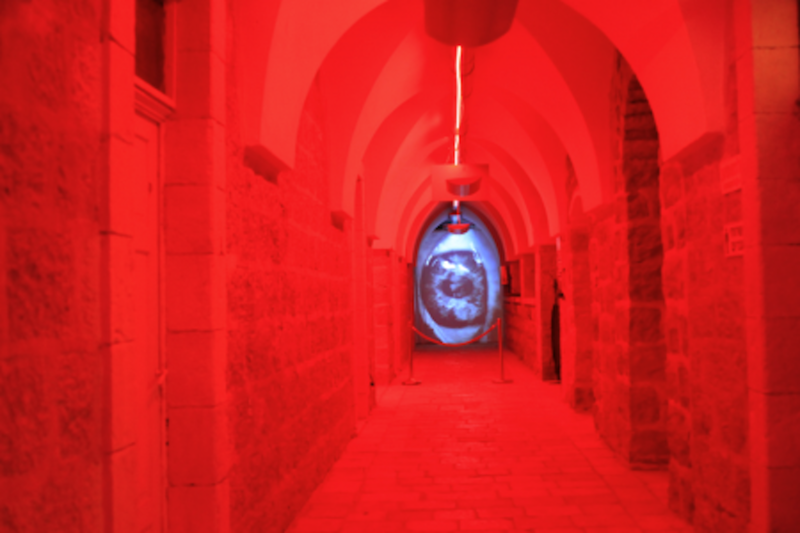 A documentation of 4 video-sound-light-fog installations at Hansen House Jerusalem. spiraling upwards and its eyes are piercing red dots. He hovers and moves mysteriously to sound, confronting the viewer with stillness, movement and reflection. His laser mark eyes wander off, reflect and multiply in the adjoined installation Eyes On You. Red scan lines cross the transparent frame of Eyes On You and define the space. 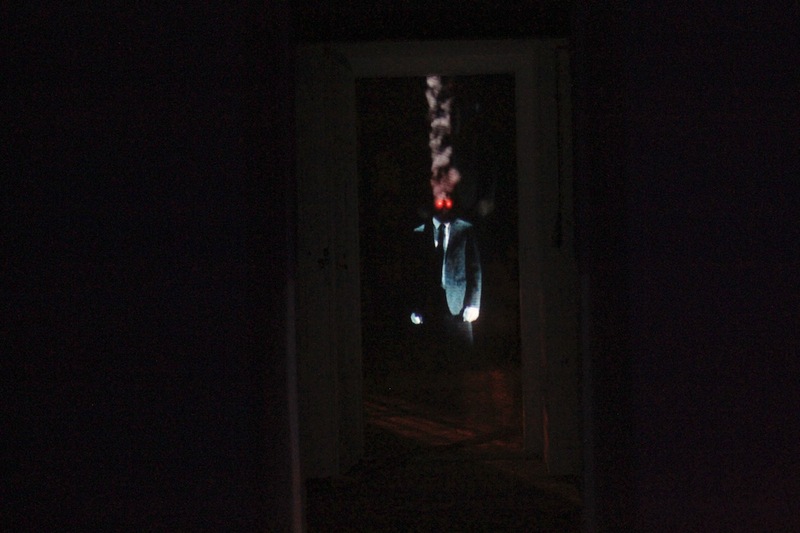 The work looks back at the relationship of the viewer with the Ghost figure, who is staring at who? This confrontation or meeting point defines the essence of Ghost and Eyes On You. 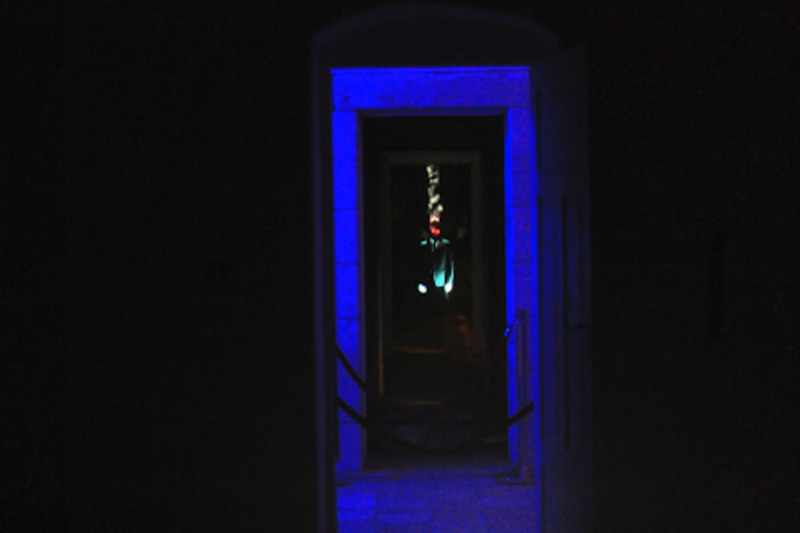 immersive installations in the building which led the viewer through the buildings labyrinth until arriving to see a live show by L.E.V in the court yard. The buildings interiors were lit in red light and fog was emitted from its windows. Ambient low-rumble sound was dispersed in the hallways and the holographic installations occurred in joined rooms. for design and technology led by the Bezalel Academy. The hospital building and the 40 acre lot are considered an Israel heritage site.